Christopher Newfield, professor of literature and American studies at the University of California, Santa Barbara, will present a talk titled “The Great Mistake: How Private-Sector Models Damage Universities, and How They Can Recover” on Thursday, March 31, at 5 p.m. in Heroy Auditorium. The lecture, which is rescheduled from Feb. 19, is free and open to the public. It is presented as part of this year’s Ray Smith Symposium in the College of Arts and Sciences. The theme for this year’s series is “The Future of the Humanities in Graduate Education.” Newfield’s talk is co-sponsored by the College of Arts and Sciences’ Democratizing Knowledge Project, the English Department, the English Graduate Organization and the Department of Sociology. Newfield’s talk will critically examine the conventional wisdom among many in higher education that universities should be run more like the private sector. While those who support that premise argue that private-sector “reforms” would help to rein in escalating costs, opponents argue that they would stifle independent thought. Newfield contends that both positions are wrong and that privatizing public colleges has made them more expensive while lowering their educational value. In his talk, he will outline what he believes to be more productive policy directions. Newfield has spent many years involved in academic planning and budget for both UC-Santa Barbara and for the University of California systemwide senate. A major portion of his research focuses on “critical university studies,” a relatively new scholarly field that he co-founded linking his concern for humanities teaching with the study of how industry and other economic forces continue to reshape higher education. 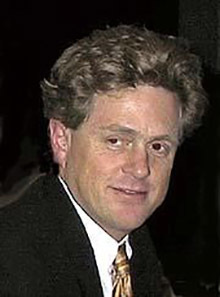 Newfield has written several books, including, most recently, “Unmaking the Public University: The Forty Year Assault on the Middle Class” (2008) and “Ivy and Industry: Business and the Making of the American University, 1880-1980” (2003). He also has recently completed a book on the post-2008 struggles of public universities to rebuild their social missions for contemporary society, which is scheduled to be published by Johns Hopkins University Press. A higher education blogger, he also has been a contributing writer for the Huffington Post, Inside Higher Ed and the Chronicle of Higher Education. The Ray Smith Symposium is funded by a major bequest from the estate of Ray W. Smith ’21, administered by the College of Arts and Sciences. The final speaker in this year’s series will be Maria Maisto, of the New Faculty Majority, who will give a talk titled “Casualization of Professorial Labor” on April 29. For more information on the symposium, contact Ashley O’Mara in the Department of English at amomara@syr.edu.